Following picture is my Yamaha SL380 which was repaired by my self. DIMARZIO pickup is mounted to neck pickup, however its sound is not so good and tone is not controllable, so I checked the wiring then compared to original Gibson wiring. 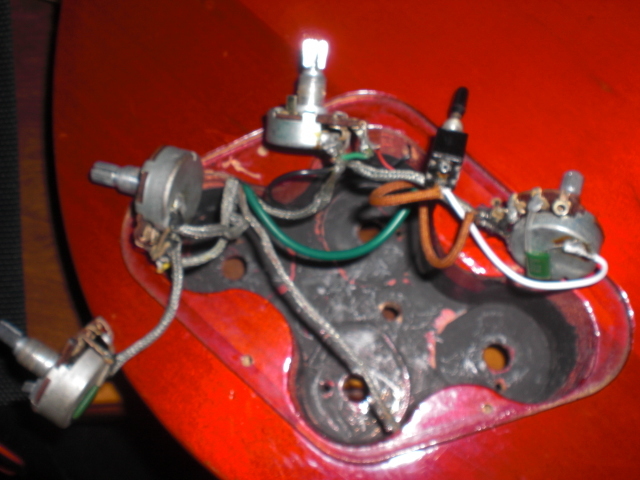 The below diagram shows the wiring that Gibson uses for its volume/tone controls. 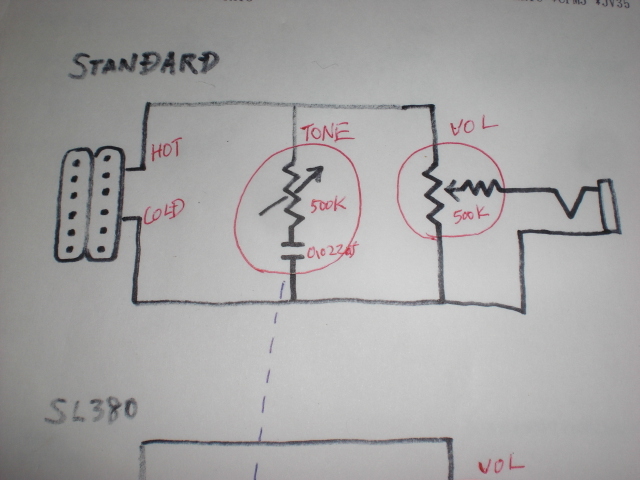 (This is the best wiring method when you are using a volume and tone control for each pickup). 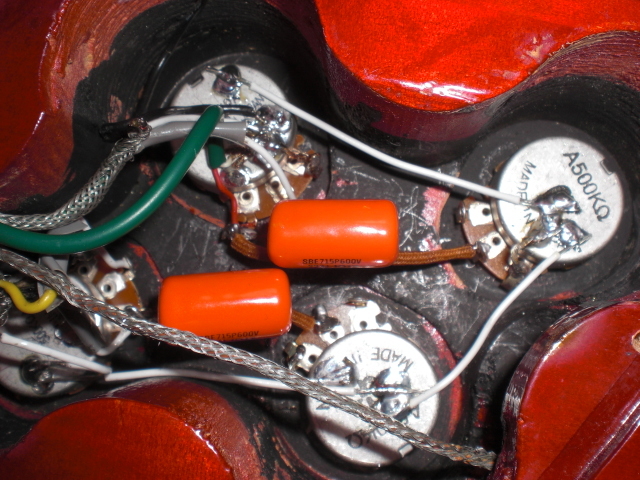 Gibson generally uses 500K Ω variable resister with 0.047uf capacitors for the neck tone and 0.022uf capacitors for the bridge tone control. These resisters are connected to the hot line of pickup. 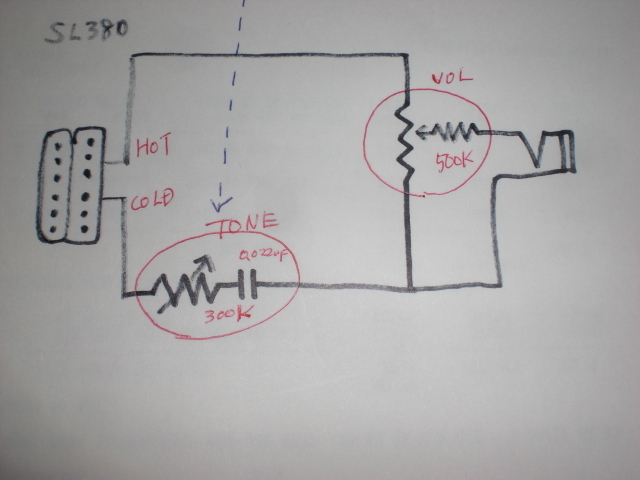 However my SL380 uses 300K Ω variable resister and 0.022 uf capacitor, and bridge tone control was connected to the cold line of pickup like below diagram. I understand why my guitar sounds was not so good. So , I have decided to replace all parts including condenser and rewiring. 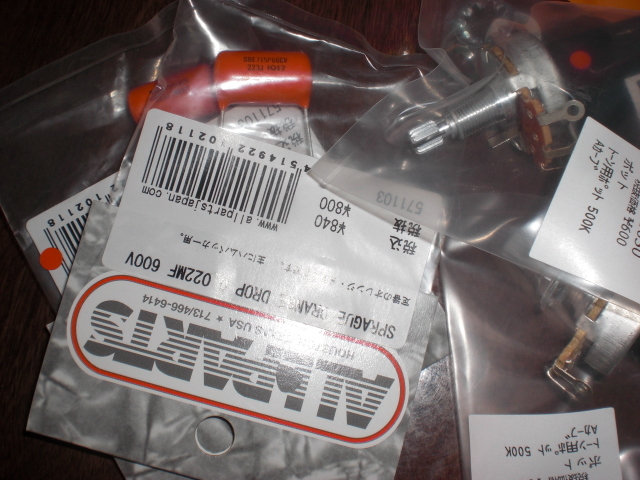 Following are the parts which I bought for rewiring. 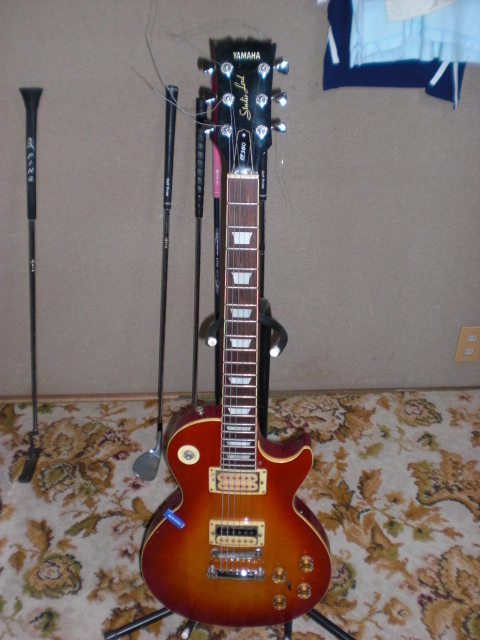 Finally , I have rewired my guitar as follows.